When I was at school, I participated in art about as enthusiastically as I participated in sport – ie. not at all! How strange then to find myself, aged 52, working in the world of movement and exercise with a growing fascination in art and creativity. I come at both things from the perspective of wellness, because I think that movement and creativity are each closely linked with a sense of well-being, promoting physical and mental health. 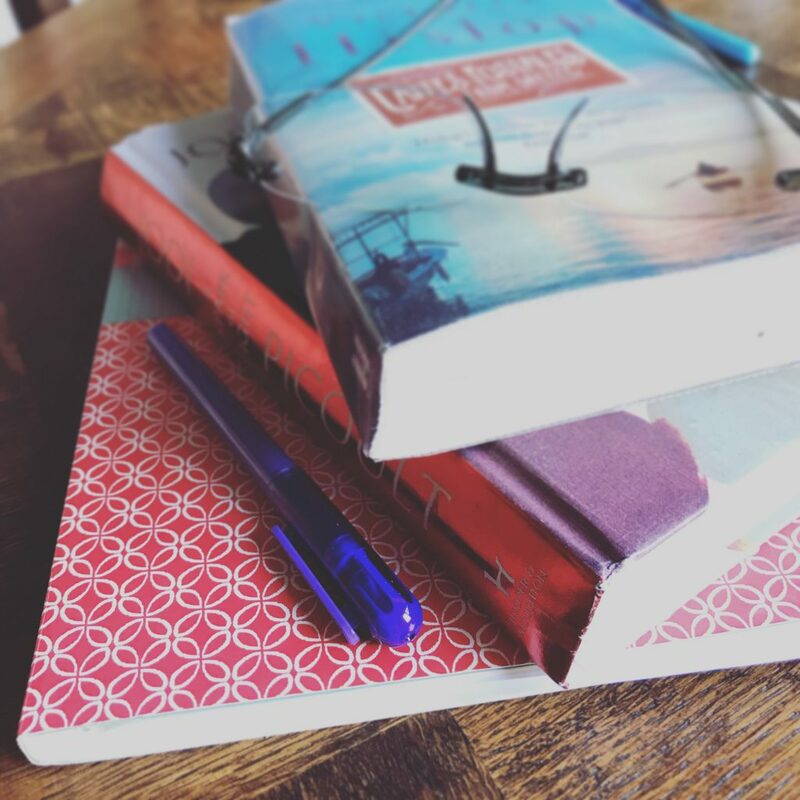 This week I have made a start & have felt a real surge of creative energy, which was sparked by a wonderful writing workshop on Wednesday afternoon. Although I like to write I was nervous, not knowing what to expect from the session lead by Hilary Wilce at Smallhythe Studio. I needn’t have worried – it was the most supportive, uplifting and joyful way to spend two hours and I smiled gently to myself all the way home. I feel like it has stirred something in my soul and opened my eyes to see differently. It was truly inspirational and an unexpected joy. I will definitely go to more writing workshops and wholeheartedly recommend the process of using writing prompts and short time-frames (eg. five minutes) to get your thoughts on paper. When I got home after the writing workshop, I picked up my Christmas present to myself which I had only flicked through previously. It is a beautiful book called ‘Conscious Creativity’ by Philippa Stanton. I had seen it on Instagram (a source of much inspiration for me given that I love photography, even if it is only iPhonography) and bought it mostly because it is a visually stunning book. One of the things I love is that the author leads you to explore your own creative vibe through a series of questions and prompts and then some exercises* to work through at your own pace. You can dip in and out or follow along with each chapter, which is where I’ve started because I feel like a bit of structure is good for me right now. If you’re interested in exploring your creative side in 2019, this is a great place to start. Still feeling creatively stirred when I woke up today, I followed up a recommendation that a friend gave me a few weeks ago. She had just started Mission: Inspiration with Mike Deakin – a series of monthly art journal challenges delivered via You Tube, his facebook group and his vlog. I woke up early and sat in bed watching his first ‘story’ for January, which, for someone who has never dabbled in mixed media art (but would love to know more about it), was totally mesmerising! I have no natural feel for this kind of art but watching someone create in this way was mind-blowing for me. I’m not expecting my creation to blow anyone’s mind but I will be getting out some glue and paper this weekend for sure! So how about you – what do you do to feed your creative soul? Does creativity play an important role in your life? How does it make you feel? I’d love to know what inspires you and any creative types that you follow – please share. My creativity is channeled into my stained glass class at the moment. I am making four leaded panels for my front door. They are similar in design but different colours to portray the four seasons…at least that it the theory behind it. Also knitting of course. I realised l am not a large as l thought, the jumper l made was way too big so l am unravelling and doing it again. Good and bad mixed up in this! Lastly, most importantly, gardening. I am waiting impatiently to see whether the cuttings l took last autumn have rooted and for all the bulbs l planted to come into flower. Lots to look forward to there.